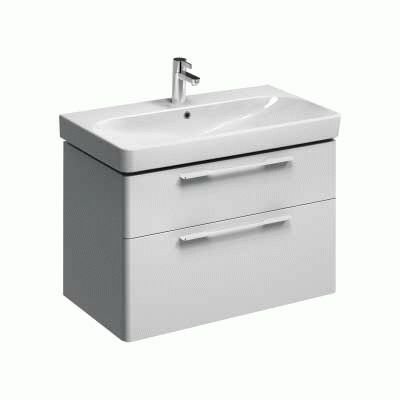 900 mm wide wash basin and vanity unit with two drawers with soft-closing mechanisms. Furniture unit (w x h x d): 868 x 625 x 461 mm. Wash basin (w x d): 900 x 480 mm. E54441WH - Single basin, one centre tap hole.